Jackson Hole Family Solutions is the premier counseling & therapy provider in Jackson Hole. We treat a wide variety of human issues. 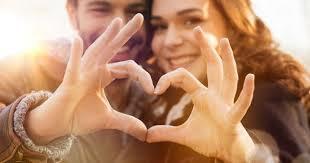 All our staff is trained and/or certified in Emotionally Focused Therapy for couples. We pride ourselves in providing cutting edge approaches, proven to be most effective in treatment. In addition, each therapist has a unique stylistic approach and area of expertise in order to provide our clients with the best fit and quality service to meet their needs. Conveniently located in town, we are easily assessable with plenty of parking with a variety of scheduling options. Our primary goal is to create a safe atmosphere where we can collaboratively explore presenting issues and work towards resolution for you, your relationship, your family. Our belief is that the best therapy experience is one where clients feel our openness, genuine authenticy and warmth in the therapeutic relationship and our hope is to craft that relationship with you. We service Jackson Hole and surrounding areas including Dubois, Alpine, Star Valley, Pinedale and Victor/Driggs, Idaho. 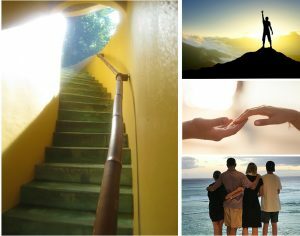 Our staff of therapists is comprised of licensed Marriage & Family Therapists and licensed clinical Social Workers, with advanced training and certification in couples and family therapy. Emotionally Focused Therapy, EFT, is a specific treatment modality for couples in distress. We look at ongoing dynamics and patterns that continue a negative cycle resulting in feelings of disconnection. The overall goal is to deconstruct these patterns and reconstruct new patterns resulting in connection, intimacy and safety. EFFT is a type of therapy where we focus with families on restoring family bonds and promote resiliency. In understanding the family distress, we work from an attachment perspective with emphasis on understanding the emotional dynamics that feed into certain family dynamics. We experientially engage the entire family system and promote new daily interactions which decrease relational rigidity and distress. 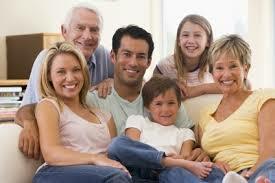 Our goals are aimed at building strong and cohesive families from the inside out. We find deeper emotional engagement and shared attachment needs and work through the relational injuries that occur with all families. LET US HELP YOU. JHFS is committed to serving and providing you and your family with the quality care you deserve. All our practices are rooted in the most effective form of therapy which is also supported by the research. JH Family Solutions provides services to Jackson Hole, Alpine, Pindedale, Victor, Idaho and Driggs, Idaho. Serving all local communities, it is our commitment to deliver quality services for therapy and counseling to individuals, couples and families. We believe in developing a sense of personal balance and sense of empowerment to help guide and direct decision making and healing. Our beliefs in Attachment Theory are reflected through EFT, in which a sense of safety within marriages provide us with the ability to communicate our most vulnerable needs and fears to our partner creating a secure attachment and strong connection. Our commitment is to develop strong & healthy families where each member contributes to form a cohesive unit fostering safety and support for all. Our focus in on attachment between parents and children in development of a safe & supportive environment where parents can respond and protect children while also providing limits and boundaries. In other words, we help families become a secure haven for development. We help parents create and maintain a safe, secure, connected relationship within their family system. It is this type of Parenting By Connection that allows children to grow, utilize their resources and abilities and thrive in our world.